The Shantanu & Nikhil mechanical pencil offers a contemporary design that is alluring for the users. This perfect writing instrument provides lines of constant thickness without even sharpening the instrument. 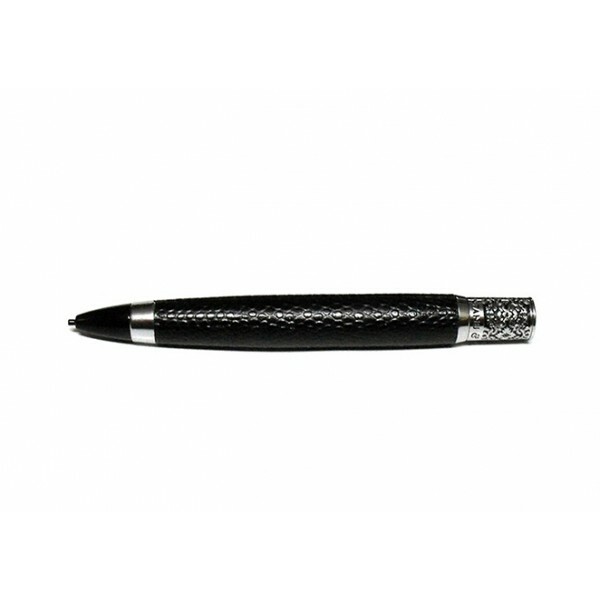 This mechanical pencil boasts a fine pattern etched on metal and a stylish signature design on top. The classically designed pencil hosts a leather and brass build thus enhancing the look of the mechanical pencil. 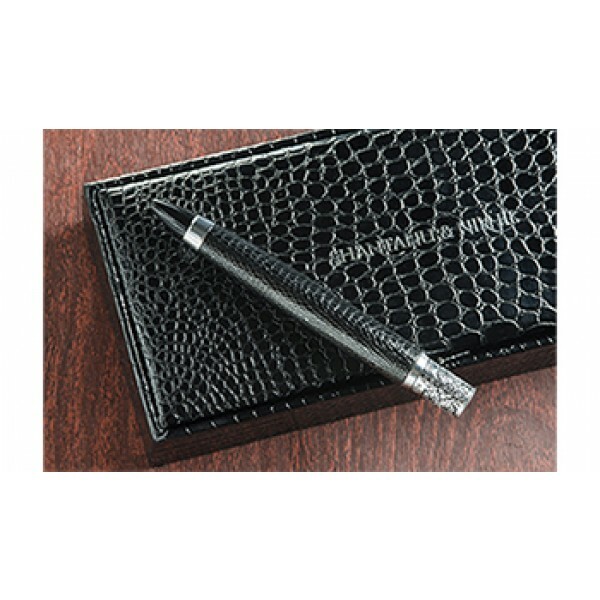 This glossy metal finish instrument offers a textured grip that helps you hone your writing skills with comfort. The 0.5 mm pencil line width in the Shantanu & Nikhil mechanical pencil allows you to sketch and produce fine lines of writing. The wide diameter of the pencil allows you to have a convenient hold on the instrument thereby enhancing your impressive handwriting. The replaceable refill in the mechanical pencil help you have extended periods of smooth writing without any interruption. The ergonomically designed Shantanu & Nikhil writing instrument works on twist action German mechanism that helps you to use the pencil just by twisting the barrel. The attractive device adds a royal statement impressing your friend when carried. You can also gift this beautifully crafted mechanical pencil from Shantanu & Nikhil to your friends and loved ones.